Whitney continues its strong season with a win over the Roseville Tigers in a Capital Valley Conference contest that would feature back up QB Joshua Daniels taking over for concussed starting QB Hunter Rodriguez. The Tigers would keep the explosive Wildcats offense to only a field goal in the 1st quarter by Alex Muir. The Wildcats would get in the end zone in the second quarter after an 18 yard pass from Daniels to Brandon McCarter to put the Wildcats up 10 - 0 with the extra point by Alex Muir. With 4 minutes to go in the 1st half the wildcats would march down the field and finish off with a 3 yard touchdown run by Max Brooke. With the extra point by Alex Muir the Wildcats had a 17 - 0 lead. During the ensuing kickoff the TIgers would take it back for a 96 yard touchdown run to take the score to 17 - 7 Wilcats which would take the teams to half tim. In the 3rd quarter, Whitney recovered a fumble by the Tigers and would capitalize with an 8 yard rushing touchdown by QB Joshua Daniels. Putting Whitney up 24 - 7. 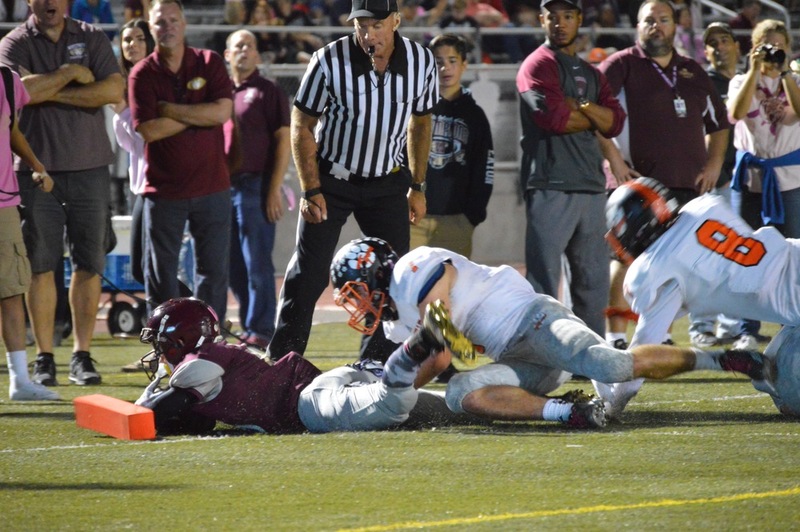 Roseville in the 4th quarter would drive down and score again against Whitney. The game would end 24 - 14 with the Wildcats taking their record to 6-2 overall and 4-1 in league. Roseville falls to 3-5 overall and 1-4 in the league for the season. Whitney will stay home next Friday night hosting the Consumnes Oaks Wolfack and their (5-3) 3-2 record after blowing out Bella VIsta 70 - 8. Roseville travels to Shingle Springs to visit Ponderosa (2-6) 1-4.